In America, Valentine’s Day isn’t just for lovers. It’s for everyone. As children, we would give little pink cards to our fellow classmates and teachers in paper mailboxes on our school desks we’d made especially for the day. When I first moved to the UK 22 years ago, I bought several packs of grown up Valentine’s Day cards and sent them all out to Jonathan’s family. They must have thought I was really weird! Needless to say, I didn’t do that again. I get it now. Yesterday, I decided it was time and applied for my first UK passport. Wish me luck! But life is a sequence of surprises and love usually comes where and when you least expect it. I never expected I’d meet the man of my 5 year old dreams when I was three days twenty. And he never expected to marry a girl ten years his younger as a senior Microsoft executive! Yet, on 17th September 1992, my great Aunty Mildred introduced Jonathan and I to each other at a dinner party in her home (on purpose of course) and the rest is history. 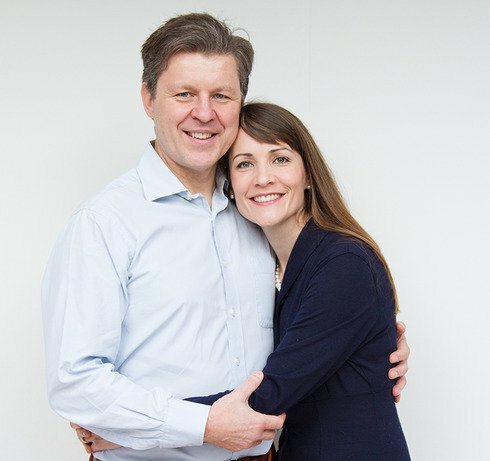 We were married the following November and moved to the UK the September after that so 23 years later, here we still are, and today, we’ve decided to share the love! When our life got turned inside out and upside down with the diagnosis of Jonathan’s rare eye condition, retinitis pigmentosa, in 2013, I remembered a childhood dream I’d had at age 5 and wrote a poem about it. An actor friend of mine read it for me along with the music that inspired it, so I’m sending the file along with the words, for you to enjoy. It’s all absolutely true. It will take you somewhere magical, I promise. In July, we started to build a new online booking system for the detox website. We never thought it would take this long but we’re very thrilled to announce that it has gone literally live TODAY! This means that you can now book without having to get in touch first – you can check availability, prices and book extras at your own convenience – even using a smart phone. It also means you can pay by credit card, which will make booking even easier. Click here to book your next detox online today!